According to a report by ESPN.com, the Arena League will cease operations soon and will announce that it’s folding. A telltale sign of trouble for the league came in July 2008, when David Baker stepped down as AFL commissioner, and the owners did not bring in a replacement. 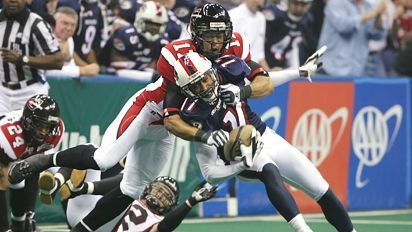 The New Orleans VooDoo folded in October 2008, and the Los Angeles Avengers ceased operations this past April, leaving the league with 15 teams. That’s too bad, because there are a lot of good football players in this country who don’t stick in the NFL and even more who never make it in the first place. I’ve only been to one Arena game in my life and while it didn’t get me intrigued enough to follow the league, it held my interest for the two and a half hours I was at the stadium. The United Football League should take note of this. The AFL never tried to compete with the NFL, but it still couldn’t garner enough interest from the public in the end. I highly doubt that UFL will either – especially not in a bad economy.